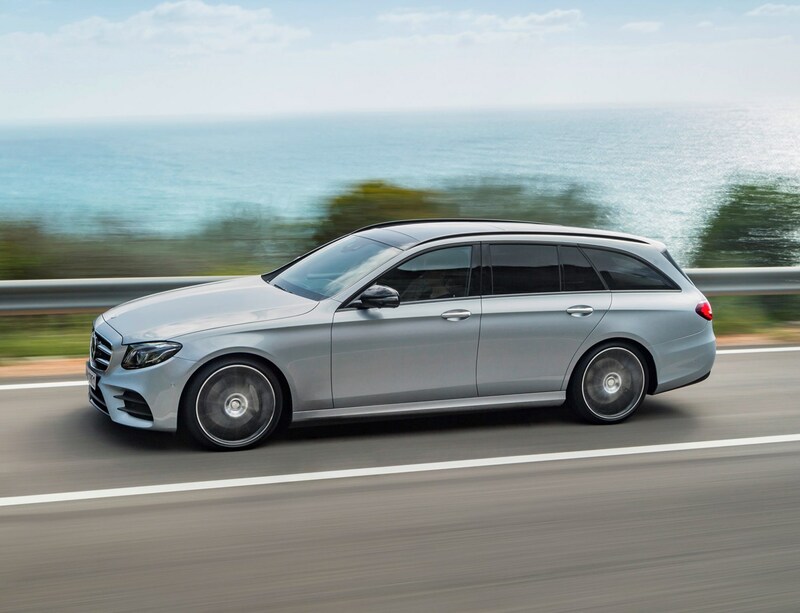 Six generations on and the Mercedes-Benz E-Class Estate continues to set the standard for combining capaciousness, comfort and space in the premium wagon segment. 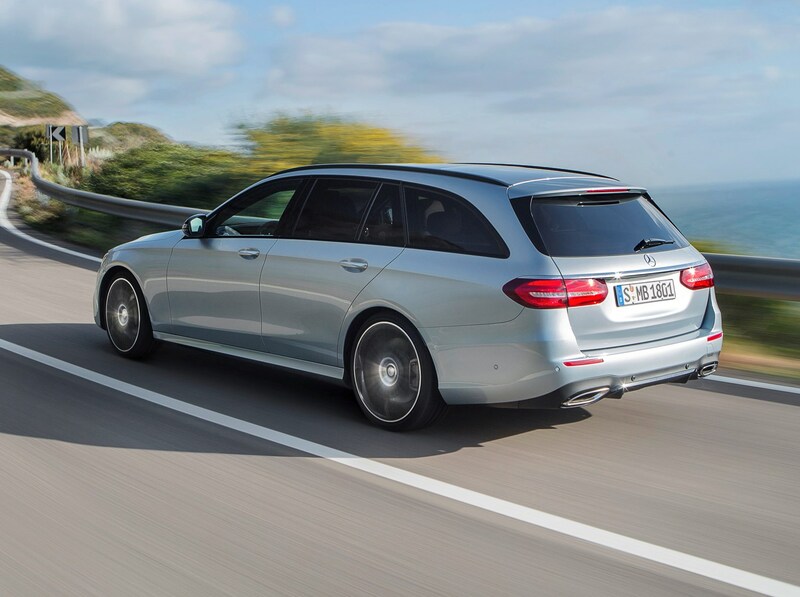 Based on the excellent E-Class Saloon launched in early 2016, the transformation into Estate guise is a graceful one, the softly tapering tail impinging negligibly on the cargo space within its shapely rear. 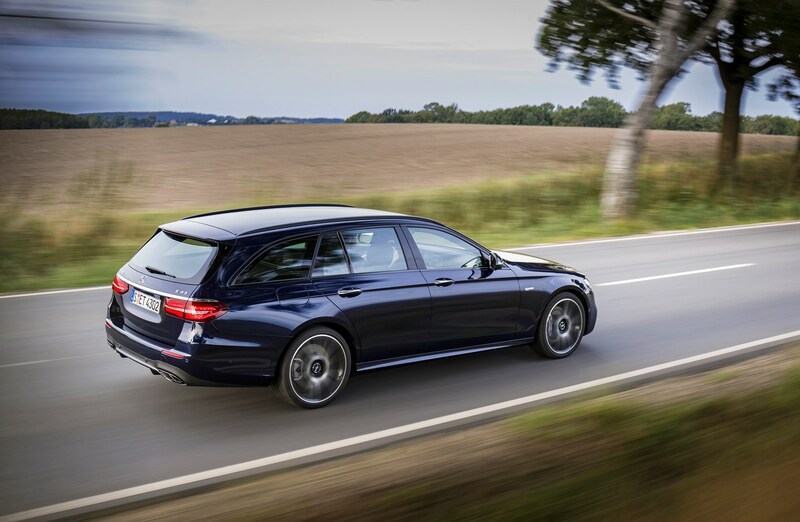 While it’s not quite the largest estate car currently on sale – the Peugeot 308 SW and Skoda Superb Estate both trump it – the Mercedes nevertheless offers significantly more carrying capacity than its direct rivals in the form of the Audi A6 Avant, the BMW 5 Series Touring, Jaguar XF Sportbrake and the Volvo V90. 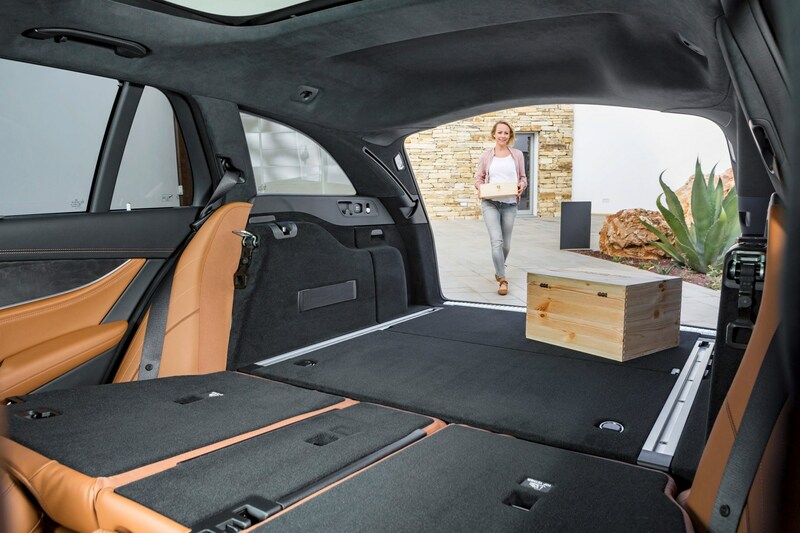 Mercedes’ joker is that from the end of 2016 it reintroduced its age-old option of two rear-facing child-seats in the boot, turning the E-Class Estate into an occasional seven-seater – for many this could be the perfect antithesis to gargantuan SUVs. 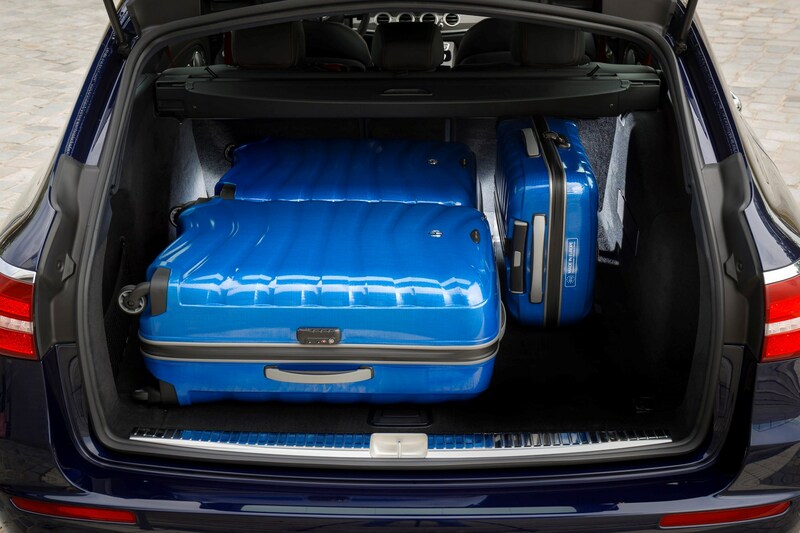 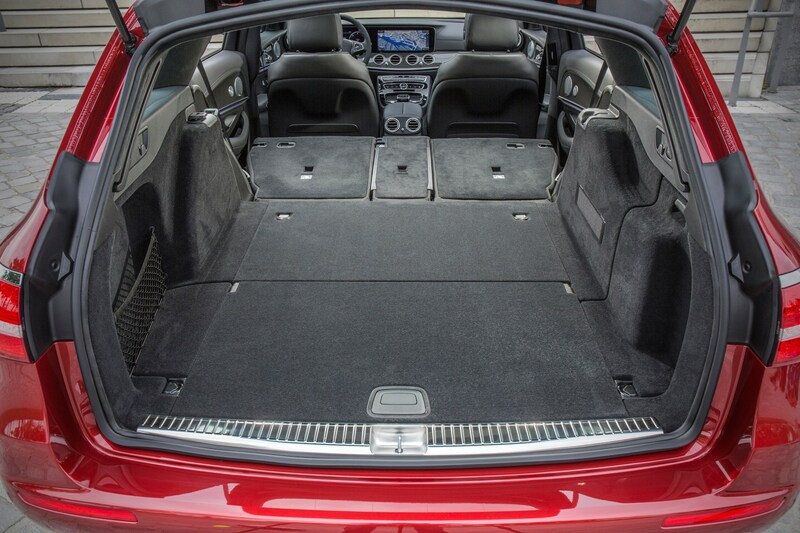 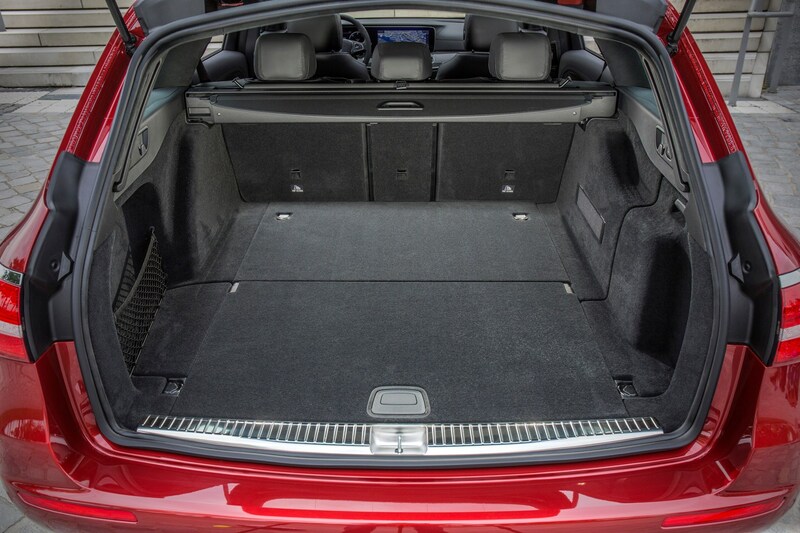 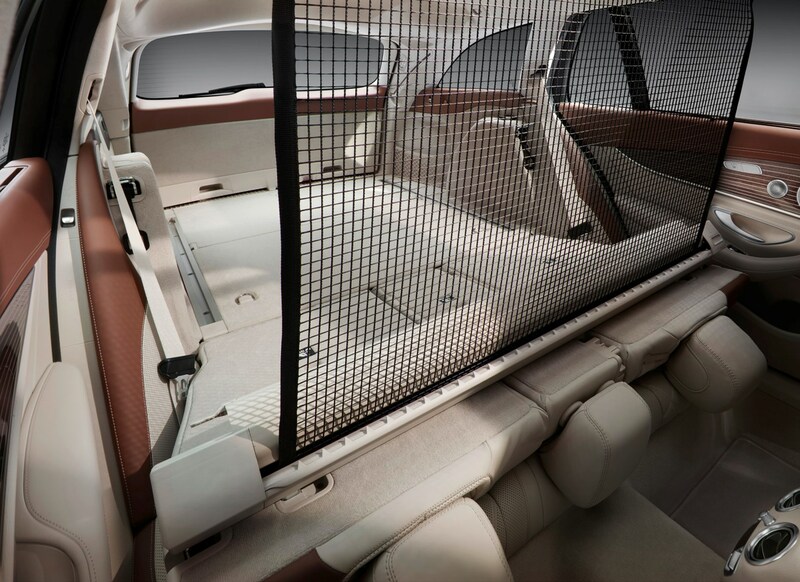 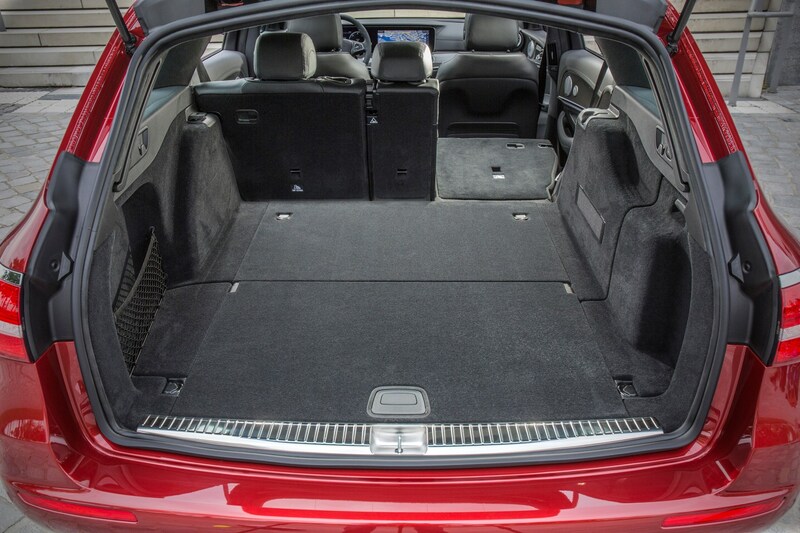 In normal five-seater mode, the E-Class Estate offers 640 litres of plushly-trimmed boot capacity, but this can be increased to the tune of 30 litres simply by making the 40:20:40 split rear seat backrest 10 degrees more vertical. 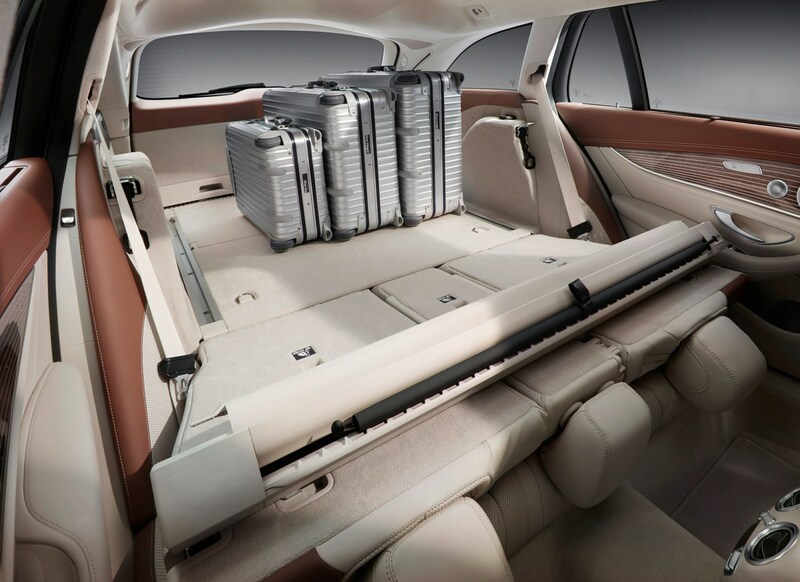 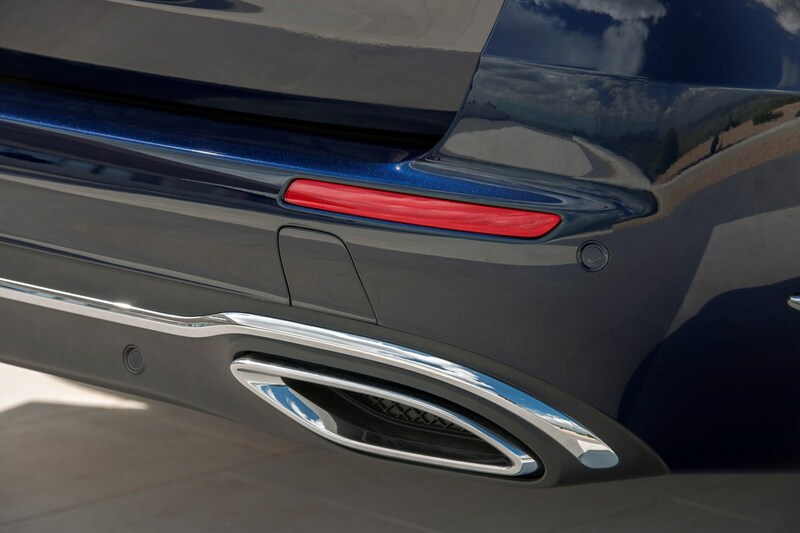 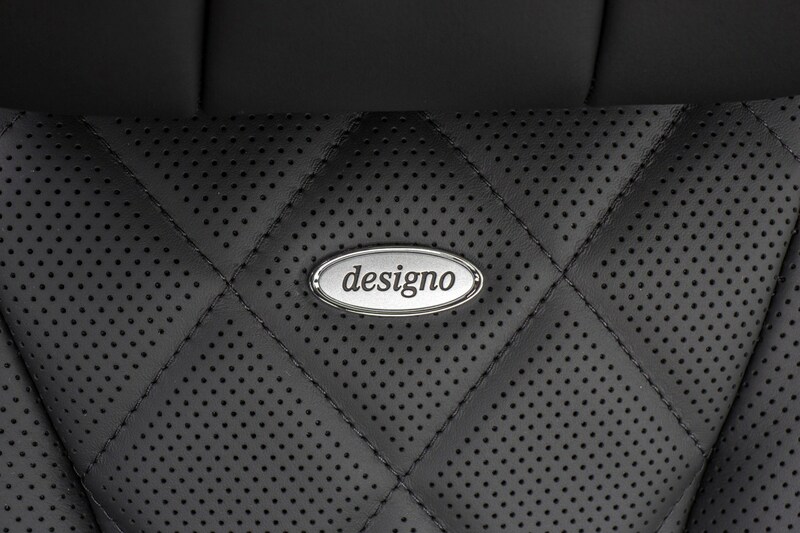 Folding the seats completely over into their virtually flat position is done simply with controls in the boot, liberating up to 1,820 litres of volume in the process. 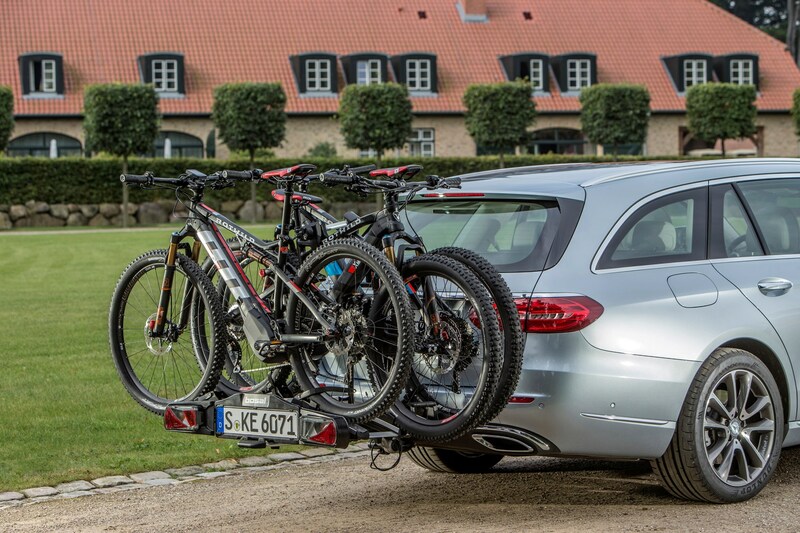 While it’s clear Mercedes hasn’t lost any of its cargo-carrying expertise, the latest E-Class also showcases much of the technological advancements the firm has also established its reputation upon. 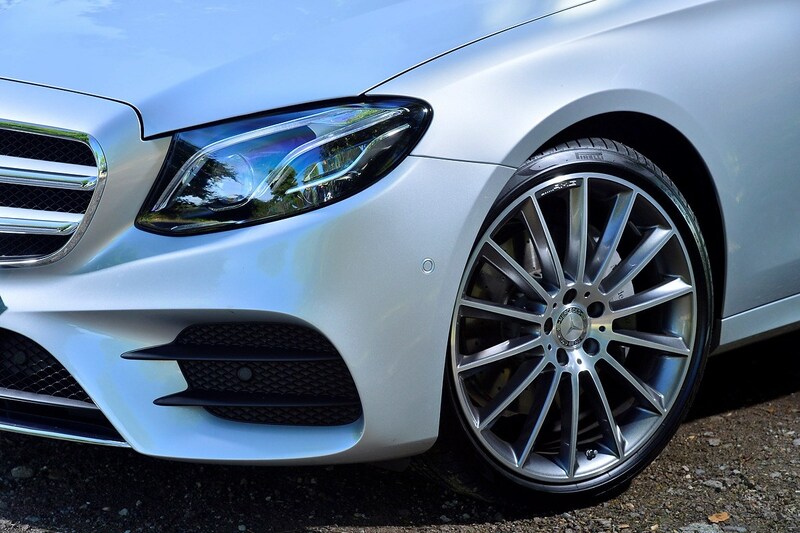 They start before you even get in the car – securely link an appropriate smartphone and you can park the E-Class remotely and lock and unlock it simply by holding your device next to the door handle. 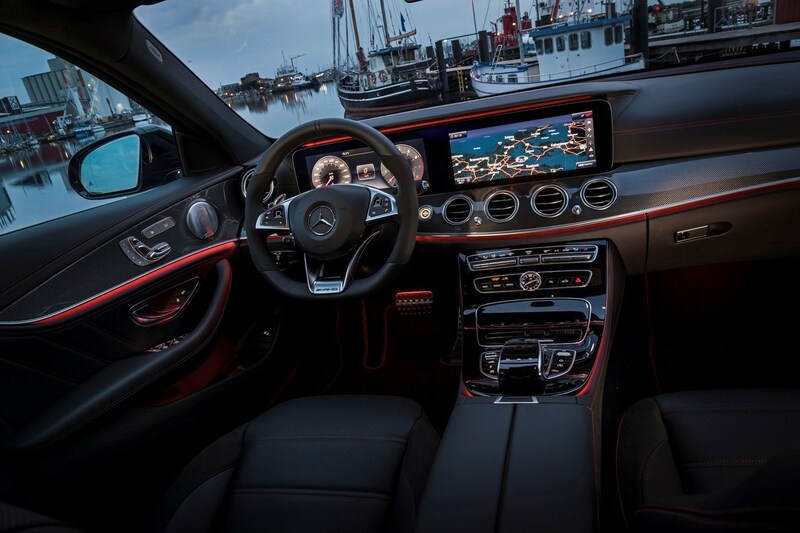 Place the phone on the wireless charging point in the centre console and that’s enough to allow the Mercedes to start. 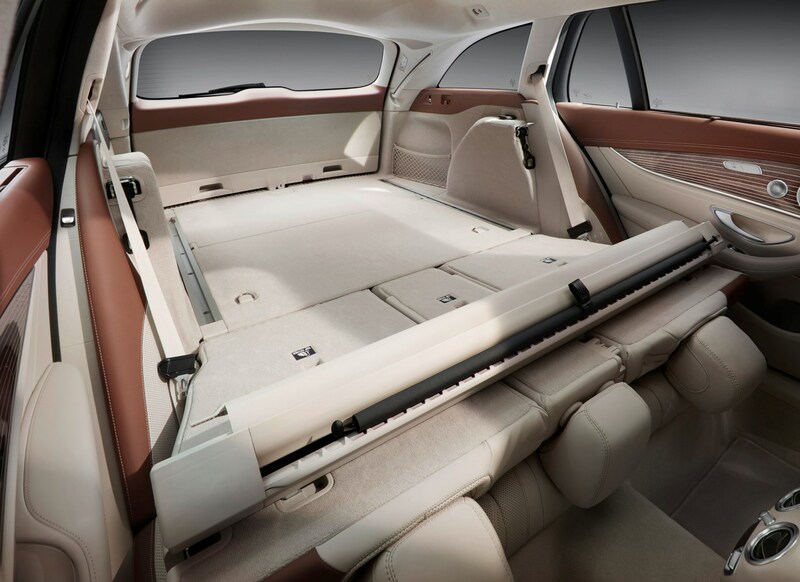 There’s a raft of features under the Driving Assistance Plus package, including Drive Pilot - which is almost capable of driving the car for you - but remember legally you are still responsible for what the car does. 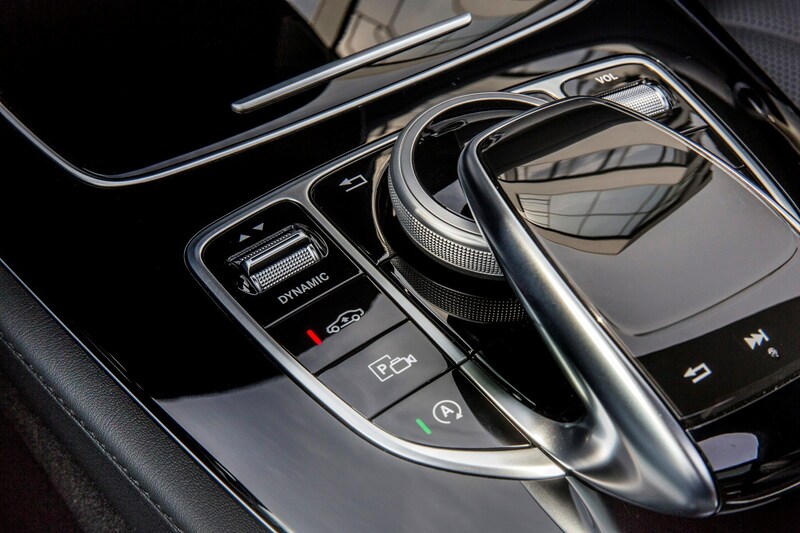 Turn the system on and it will automatically raise or lower its speed based on how quickly other vehicles are driving and what the legal limits are. 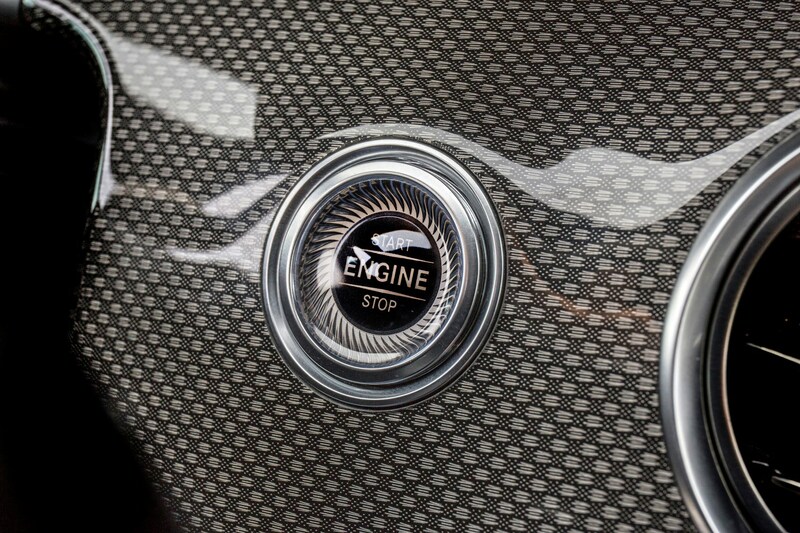 Additionally, it will steer itself between the white lines. 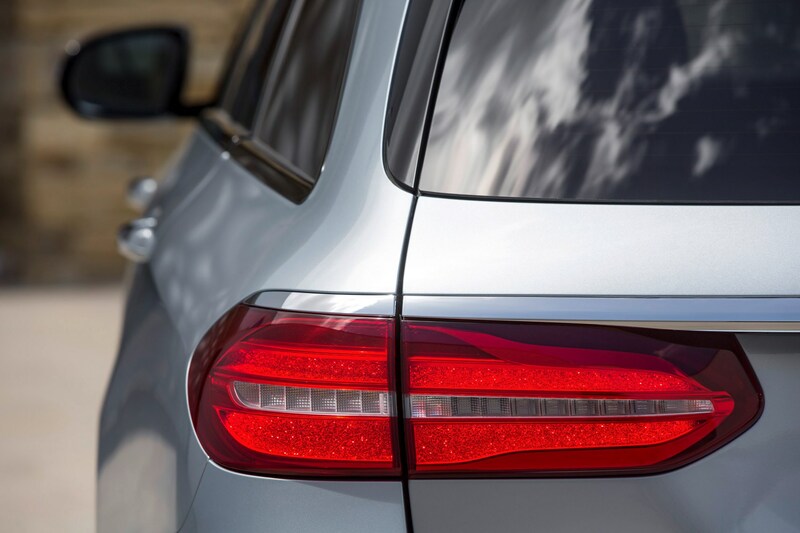 Overtaking manoeuvres on dual-carriageways and motorways are simply actioned by holding the indicator for two seconds – the steering takes care of itself. 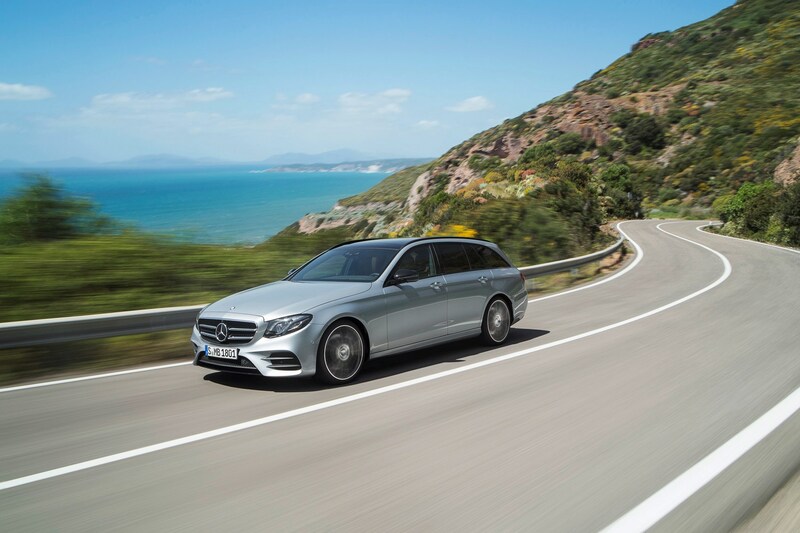 The vast majority of Mercedes E-Class Estates sold in Britain over recent years have been diesel-powered, hence why for this generation the initial line-up only included one petrol derivative. 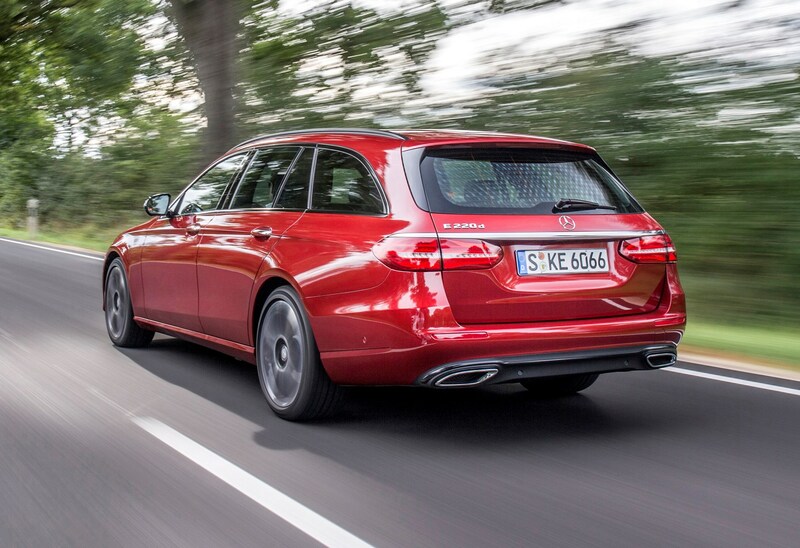 That was the Mercedes-AMG E 43 Estate, capable of reaching 62mph from a standstill in just 4.7 seconds, making it the quickest of the Estate range until the bruising E 63 and E 63 S appeared during 2017, the latter with its 0-62mph dash in 3.5 seconds thanks to a monster 612hp V8 motor. 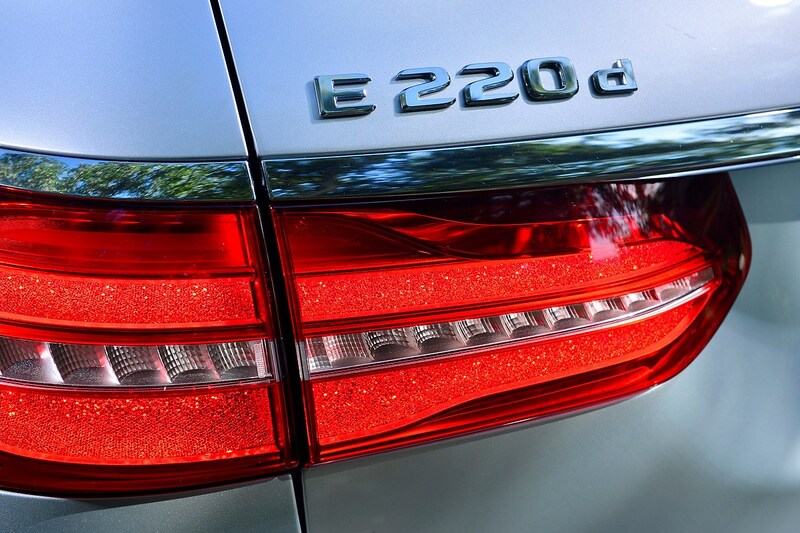 Most customers will opt for the E 220 d, featuring a new 2.0-litre diesel serving up 194hp yet claiming to return 67.3mpg and emit just 109g/km of CO2 – it might be the entry-level powerplant but in reality it offers such a sensible blend of performance and economy it essentially becomes the default E-Class Estate choice. 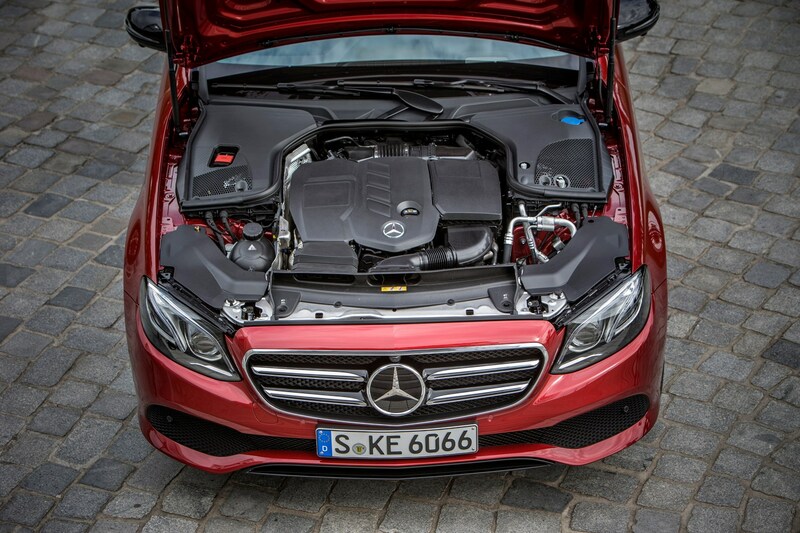 Filling the gap is the E 350 d, fitted with a 3.0-litre V6 and power uprated to 258hp. 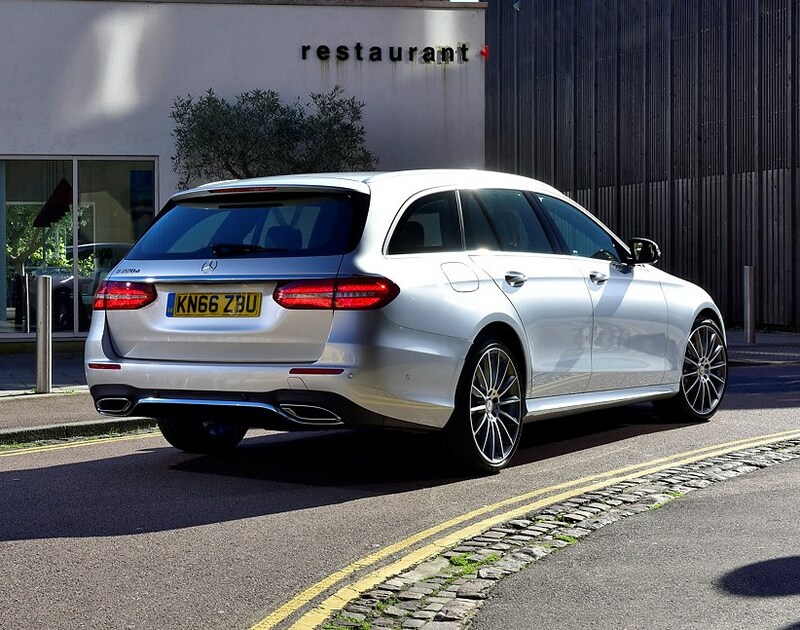 It’s quicker than the E 220 d – 0-62mph drops from 7.7 seconds to 6.2 – but in most instances you’re unlikely to benefit from the extra urgency. 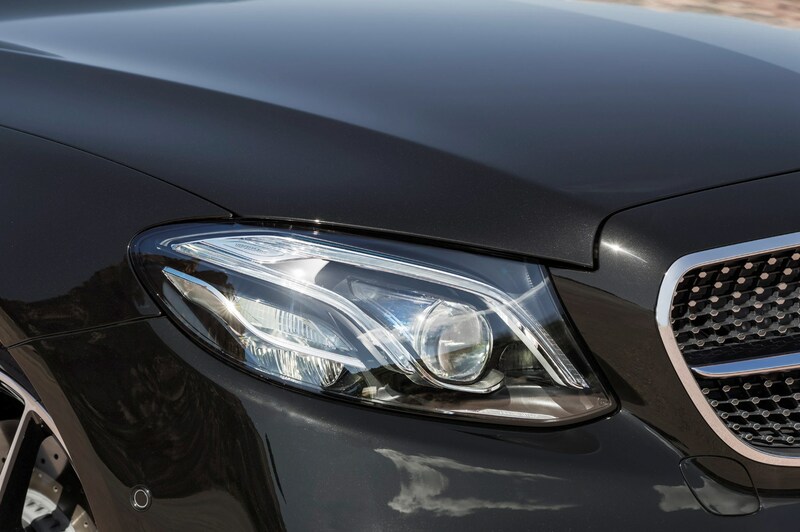 The increased running costs won’t escape your attention though. 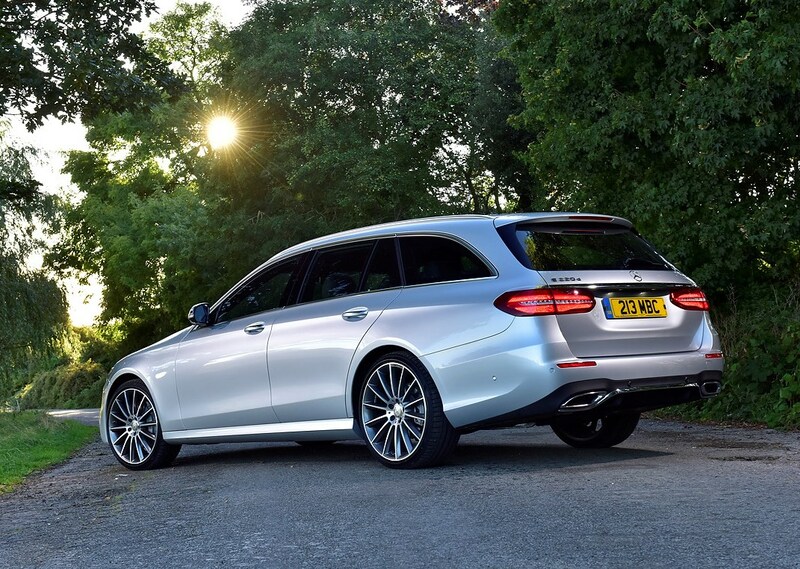 For those looking to run an E-Class Estate on a more modest budget, an E 200 d with 150hp and CO2 emissions of just 109g/km went on sale in late 2016. 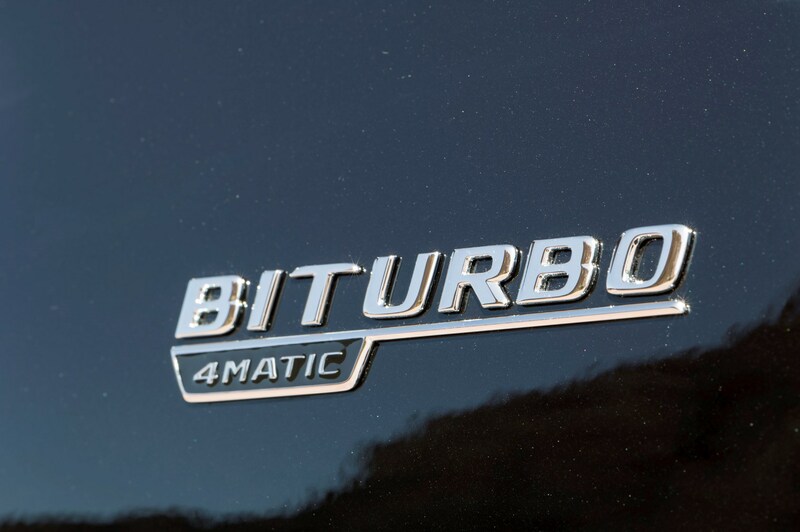 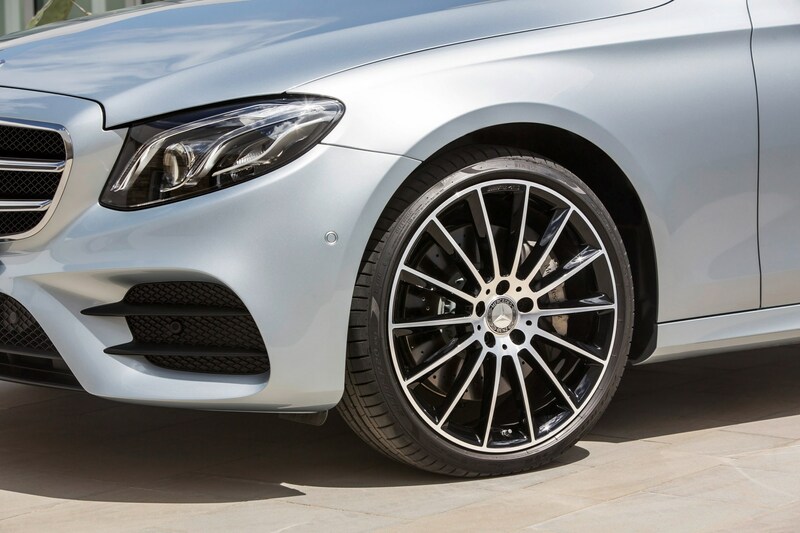 During 2017 Mercedes added the option of 4Matic all-wheel drive to the E 220 d and E 350 d models. 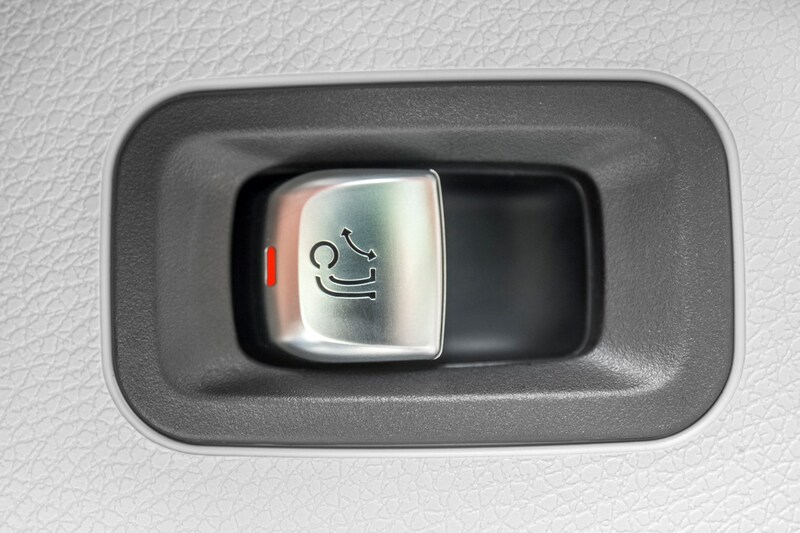 It’s the first time a diesel E-Class has been given this option. 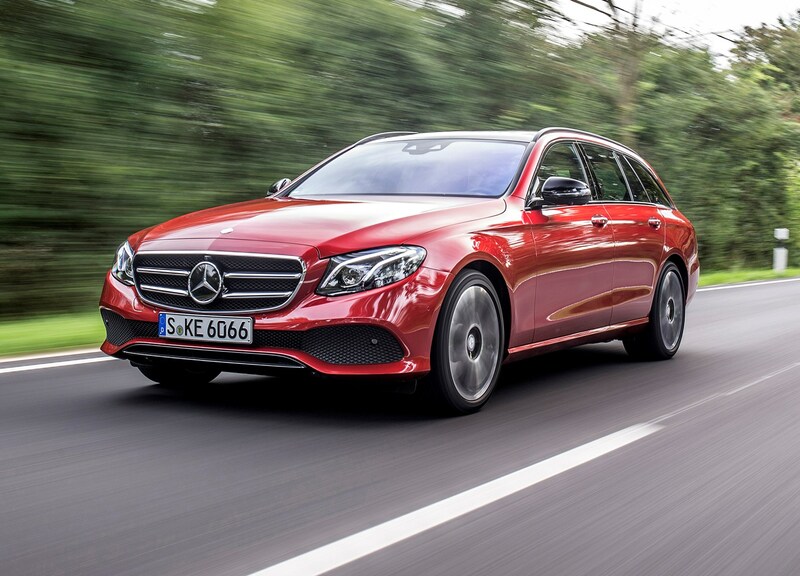 It’s not just the engine range which is restricted – the number of different E-Class Estate variants is also much narrower than Mercedes has offered in recent years. 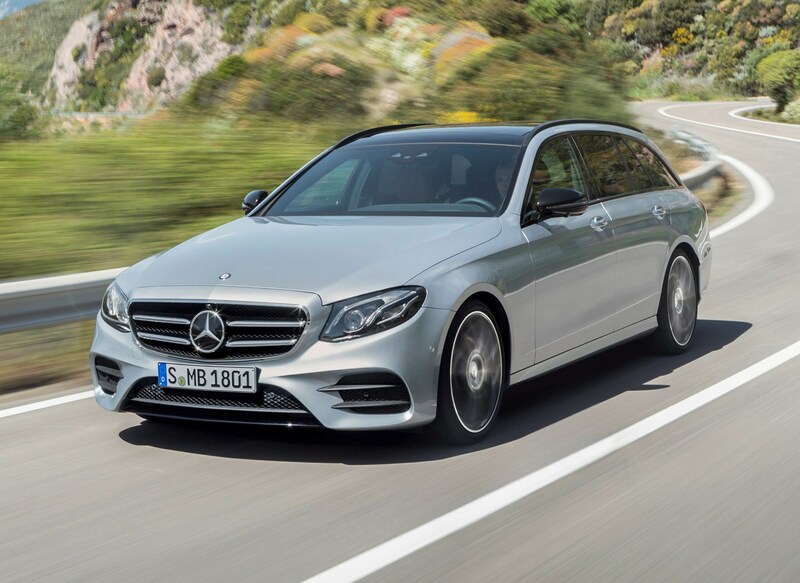 The E 200 d, E 220 d and E 350 d are available in SE and AMG Line derivatives, while the Mercedes-AMG E 43 and E 63 are standalone models atop the range. 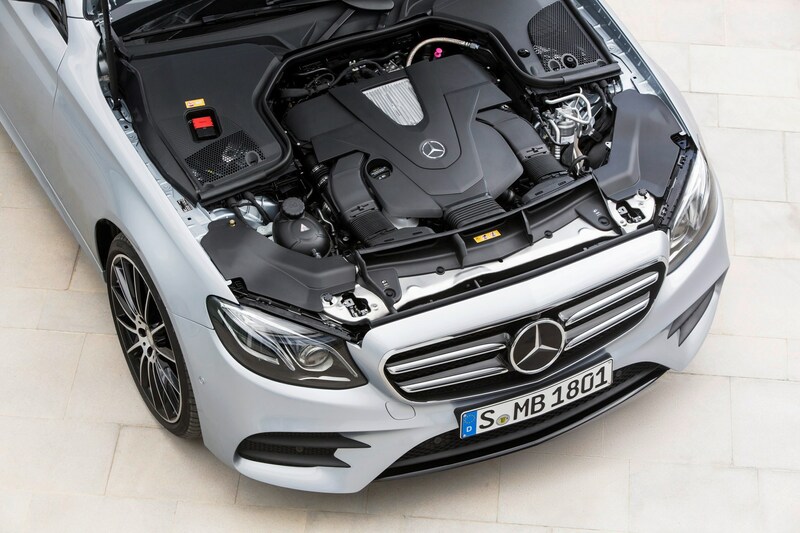 Whichever you choose, all have the sportier grille design, with the UK not offered the traditional design with the three-pointed star mascot stood proud of the bonnet. 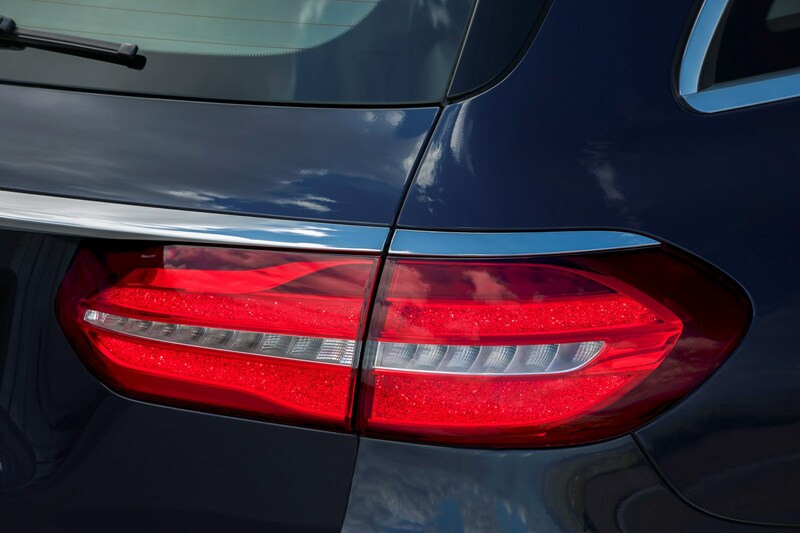 All versions are highly-specced with LED lights front and rear, an electrically-operated tailgate, keyless starting, leather upholstery and 64 (yes, sixty-four) different colours for the interior lighting. 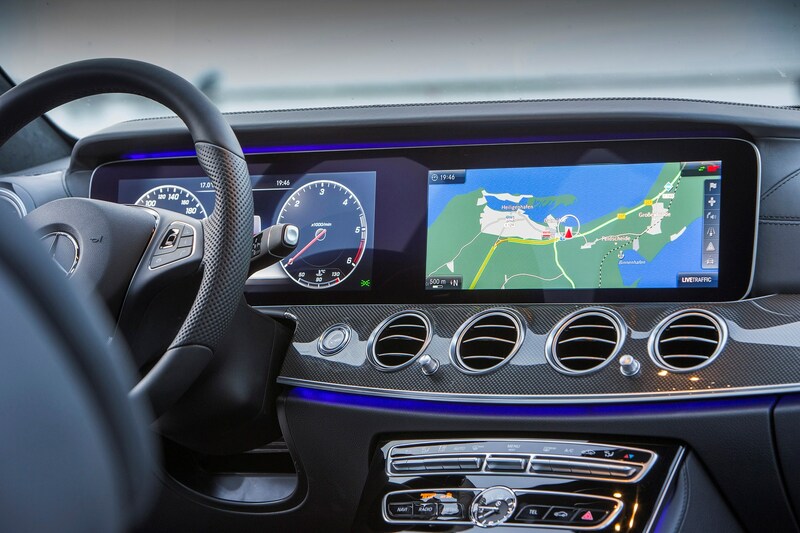 It’s also worth considering the extra-cost option of the fully electronic instrumentation display. 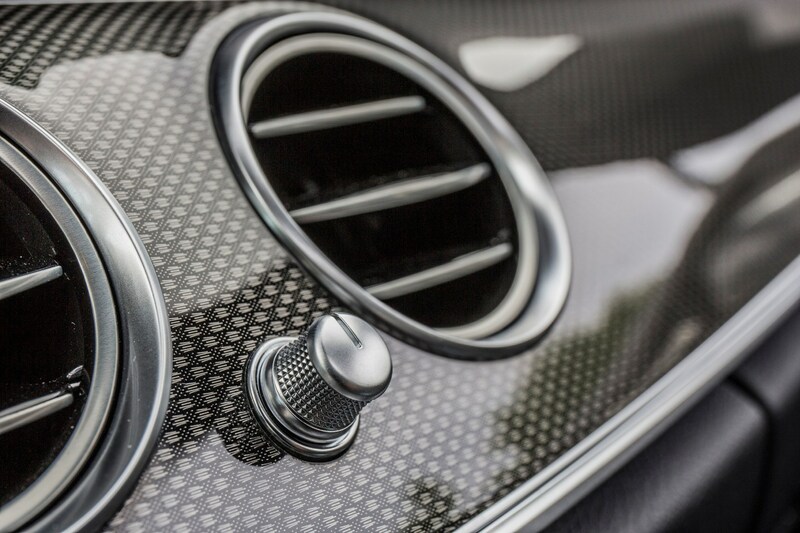 A Mercedes-AMG E 63 S Edition 1 derivative was unveiled to launch the top-spec performance model in April 2017, featuring bespoke paintwork and alloys along with sports seats and carbonfibre trim for the interior. 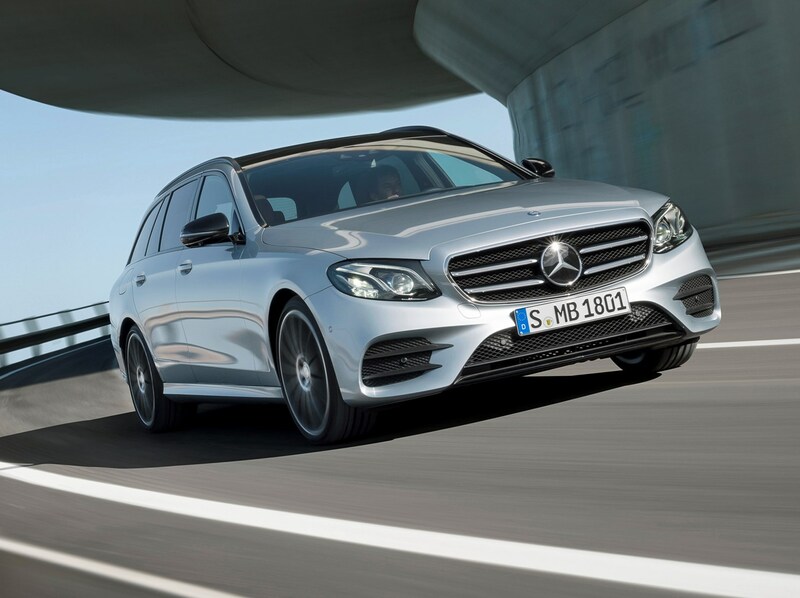 The Mercedes-Benz E-Class Estate is an admirable effort in a very accomplished sector. 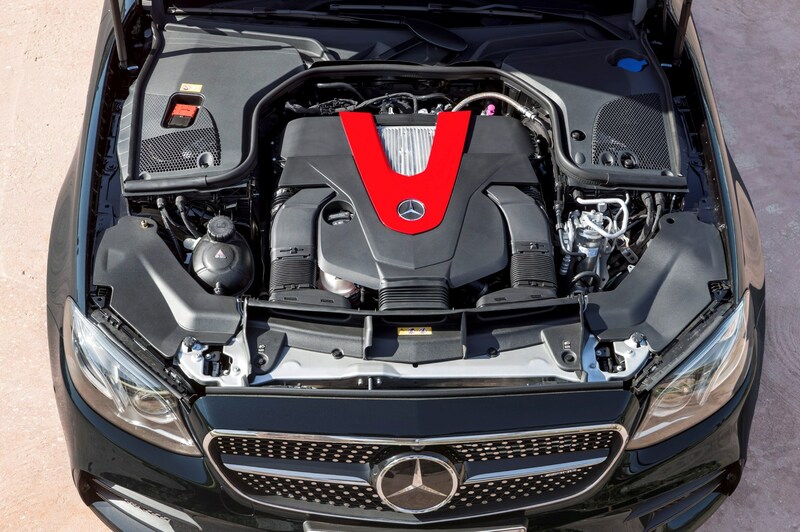 It offers more choice than most rivals thanks to the inclusion of the hot AMG models alongside more affordable diesels. 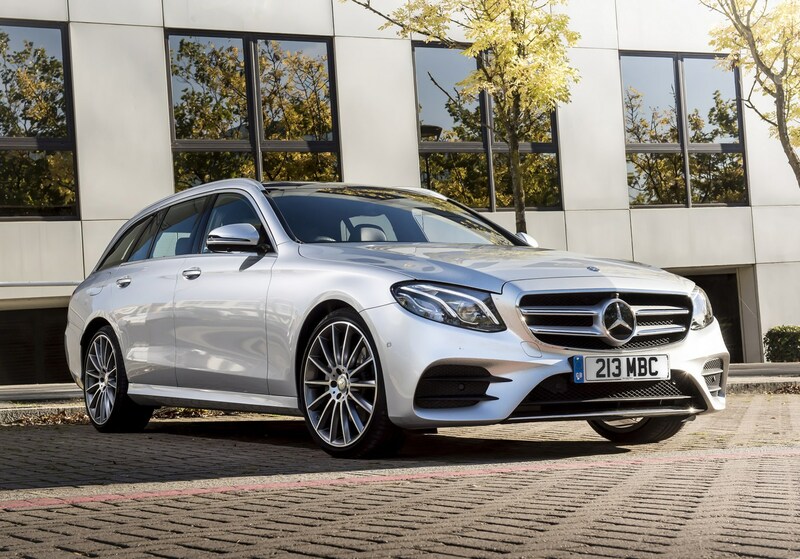 There’s no hybrid version just yet, but it’s fairly clear an E 350 e plug-in should follow soon to align with the Saloon line-up.